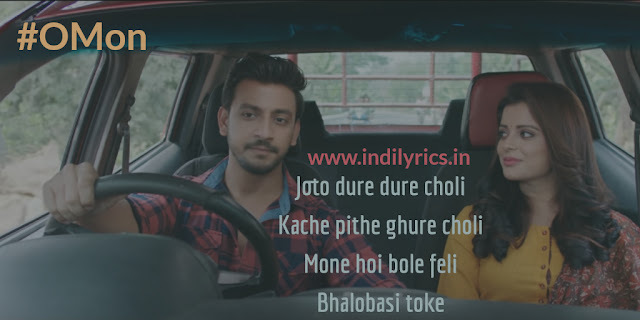 O Mon Full Song Lyrics with English Translation and Real Meaning Explanation from upcoming Bengali Movie Ke Tumi Nandini (Ke Tumi Nandini means who’re you beautiful girl), the delightful love song has been composed by Amlaan while Prasen penned the lyrics, Ishan Mitra & Trissha Chatterjee sang this song. The music is available on SVF Music. The audio mp3 version of O Mon is free to download and stream from Gaana, Wynk, Hungama and Hoichoi, the movie Ke Tumi Nandini stars Bonny & Rupsha. O heart, why can’t you come to terms with me? Why are you so different from my brain?